Most homes have at least one room or one drawer full of clutter. More often than not, the clutter extends beyond the one drawer and the one room. For many, the most popular room is the catch-all laundry room. If the laundry room in your home is not very organized, then these ideas for laundry room organization will be inspirational for you. The process of doing laundry is not always fun and may seem like a chore at time. However, this is not anything that should be overwhelming when everything properly organized. If you do not look forward to doing laundry, then laundry room organization may alleviate some of the anxiety. There are many solutions available for laundry room organization that may be beneficial. This includes adding additional storage or converting any unused area into a functional space. You may find a variety of ideas will provide the results that are desired. The only thing you need to do is research all any ideas for laundry room organization that will work with the room in your home. Take a look around your laundry room and see if you have space that is not being utilized. Most people may not realize there are many places that are not being used effectively. This may include the use of a hamper on wheels to a table with storage space underneath. 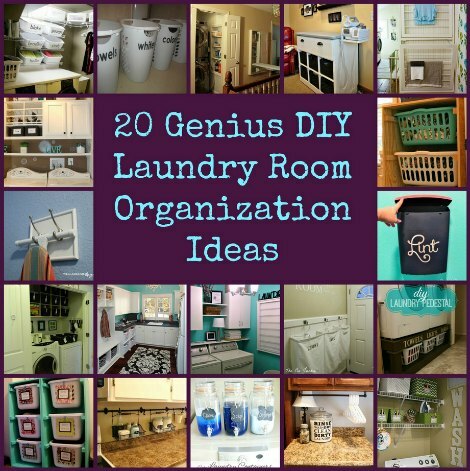 The options for laundry room organization will depend on the ideas you find useful. The ability to achieve laundry room organization depends on the work that you put into the project. One added benefit of organizing your laundry room is knowing where everything is located. This will include a variety of cleaning products that may need to be kept away from young children.